In this paper,we introduce a new circular distribution called Wrapped Holla and Bhattacharya’s (HB) Skewed Laplace distribution.We obtain explicit form for the density and derive expressions for distribution function, characteristic function and trigonometric moments. Method of maximum likelihood estimation is used for estimation of parameters. The methods are applied to a data set which consists of the wind directions of a Black Mountain ACT and compared with that of wrapped variance gamma distribution (WvG) and generalised von Mises (GvM) distribution. Circular or directional data arise in different ways. The two main ways correspond to the two principal circular measuring instruments, the compass and the clock. Typical observations measured by the compass include wind directions and directions of migrating birds. Data of a similar type arise from measurements by spirit level or protractor. Typical observations measured by the clock include the arrival times (on a 24-hour clock) of patients at a casualty unit in a hospital. Data of a similar type arise as times of year or times of month of appropriate events. A circular observation can be regarded as a point on a circle of unit radius, or a unit vector (i.e. a direction) in the plane. Once an initial direction and an orientation of the circle have been chosen, each circular observation can be specified by the angle from the initial direction to the point on the circle corresponding to the observation. Circular data are usually measured in degrees. Sometimes it is useful to measure in radians. For more details see Mardia & Jupp.1 Circular Statistics is the branch of statistics that addresses the modeling and inference from circular or directional data, i.e. data with rotating values. Many interesting circular models can be generated from known probability distributions by either wrapping a linear distribution around the unit circle or transforming a bivariate linear r.v. to its directional component. Two dimensional directions can be represented as angles measured with respect to some suitably chosen ”zero direction”. Since a direction has no magnitude, it can be conveniently represented as points on the circumference of a unit circle centered at the origin or as unit vectors connecting the origin to these points. 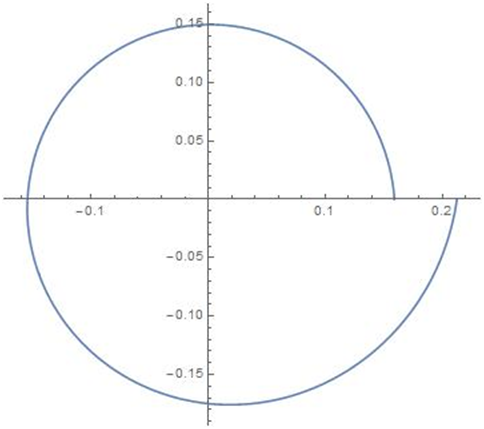 Because of this circular representation, observations on such two dimensional directions are called circular data Jammalamadakka & Sen Guptha.2 Directional data have many unique and novel features both in terms of modeling and in their statistical treatment. In meteorology, wind directions provide a natural source of circular data. A distribution of wind directions may arise either as a marginal distribution of the wind speed and direction, or as a conditional distribution for a given speed. Other circular data arising in meteorology include the times of day at which thunderstorms occur and the times of year at which heavy rain occurs. Recently, statisticians have shown active interest in the study of circular distribution because of their wide applicability. 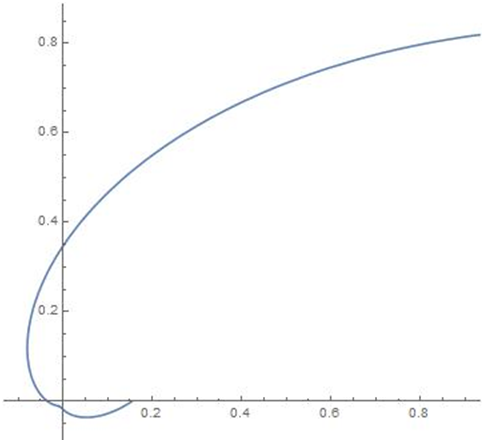 Jammalamadakka & Kozubowski3 discussed circular distributions obtained by wrapping the classical exponential and Laplace distributions on the real line around the circle. Rao et al.,4 derived new circular models by wrapping the well known life testing models like log normal, logistic, Weibull and extreme-value distributions. Roy & Adnan5 developed a new class of circular distributions namely wrapped weighted exponential distribution. In another work, Roy & Adnan6 explored wrapped generalized Gompertz distribution and discussed its application to Ornithology. Recently, Jacob & Jayakumar7 derived a new family of circular distribution by wrapping geometric distribution and studied its properties. Rao et al.,8 discussed the characteristics of wrapped Gamma distribution. Adnan & Roy9 derived wrapped variance Gamma distribution and showed its applicability to wind direction. Joshi & Jose10 introduced a wrapped Lindley distribution and applied it for a biological data. Recently, Jammalamadakka & Kozubowski11 introduced a general approach to obtain wrapped circular distributions through mixtures. The present paper is arranged as follows. In section 1, we give the general introduction about circular distribution. Section 2 explains the basic theory of circular distribution. Section 3 explains about the importance of Laplace distribution. In section 4, we discuss about skewed Laplace distribution. In section 5, we consider Holla and Bhattacharya’s (HB) Skewed Laplace (HBSL) distribution. In section 6, the Wrapped Holla and Bhattacharya’s (HB) Skewed Laplace (WHBSL) distribution is introduced and the probability density function (pdf) is obtained. In section 7, we derive the cumulative distribution function (cdf) and in section 8, the characteristic function and trigonometric moments are obtained. In Section 9, maximum likelihood estimation method is discussed to estimate the model parameter. In section 10, we apply the proposed model to a data on wind direction compared with that of wrapped variance gamma distribution (WvG) and generalised von Mises (GvM) distribution by using Akaike information criterion (AIC), Bayesian information criterion (BIC) and log-likelihood. Finally, Section 11 summarizes the findings. One way of specifying a distribution on the unit circle is by means of its distribution function. Let f( θ MathType@MTEF@5@5@+= feaagKart1ev2aaatCvAUfeBSjuyZL2yd9gzLbvyNv2CaerbuLwBLn hiov2DGi1BTfMBaeXatLxBI9gBaerbd9wDYLwzYbItLDharqqtubsr 4rNCHbGeaGqkY=Mj0xXdbba91rFfpec8Eeeu0xXdbba9frFj0=OqFf ea0dXdd9vqaq=JfrVkFHe9pgea0dXdar=Jb9hs0dXdbPYxe9vr0=vr 0=vqpWqaaeaabiGaciaacaqabeaadaqaaqaaaOqaaiabeI7aXbaa@38C4@ ) be the probability density function of a continuous random variable Θ MathType@MTEF@5@5@+= feaagKart1ev2aaatCvAUfeBSjuyZL2yd9gzLbvyNv2CaerbuLwBLn hiov2DGi1BTfMBaeXatLxBI9gBaerbd9wDYLwzYbItLDharqqtubsr 4rNCHbGeaGqkY=Mj0xXdbba91rFfpec8Eeeu0xXdbba9frFj0=OqFf ea0dXdd9vqaq=JfrVkFHe9pgea0dXdar=Jb9hs0dXdbPYxe9vr0=vr 0=vqpWqaaeaabiGaciaacaqabeaadaqaaqaaaOqaaiabfI5arbaa@3885@ i.e.f( θ MathType@MTEF@5@5@+= feaagKart1ev2aaatCvAUfeBSjuyZL2yd9gzLbvyNv2CaerbuLwBLn hiov2DGi1BTfMBaeXatLxBI9gBaerbd9wDYLwzYbItLDharqqtubsr 4rNCHbGeaGqkY=Mj0xXdbba91rFfpec8Eeeu0xXdbba9frFj0=OqFf ea0dXdd9vqaq=JfrVkFHe9pgea0dXdar=Jb9hs0dXdbPYxe9vr0=vr 0=vqpWqaaeaabiGaciaacaqabeaadaqaaqaaaOqaaiabeI7aXbaa@38C4@ ) is a non-negative 2 π MathType@MTEF@5@5@+= feaagKart1ev2aaatCvAUfeBSjuyZL2yd9gzLbvyNv2CaerbuLwBLn hiov2DGi1BTfMBaeXatLxBI9gBaerbd9wDYLwzYbItLDharqqtubsr 4rNCHbGeaGqkY=Mj0xXdbba91rFfpec8Eeeu0xXdbba9frFj0=OqFf ea0dXdd9vqaq=JfrVkFHe9pgea0dXdar=Jb9hs0dXdbPYxe9vr0=vr 0=vqpWqaaeaabiGaciaacaqabeaadaqaaqaaaOqaaiabec8aWbaa@38CB@ periodic function such that f( θ+2π MathType@MTEF@5@5@+= feaagKart1ev2aaatCvAUfeBSjuyZL2yd9gzLbvyNv2CaerbuLwBLn hiov2DGi1BTfMBaeXatLxBI9gBaerbd9wDYLwzYbItLDharqqtubsr 4rNCHbGeaGqkY=Mj0xXdbba91rFfpec8Eeeu0xXdbba9frFj0=OqFf ea0dXdd9vqaq=JfrVkFHe9pgea0dXdar=Jb9hs0dXdbPYxe9vr0=vr 0=vqpWqaaeaabiGaciaacaqabeaadaqaaqaaaOqaaiabeI7aXjabgU caRiaaikdacqaHapaCaaa@3C1F@ ) = f( θ MathType@MTEF@5@5@+= feaagKart1ev2aaatCvAUfeBSjuyZL2yd9gzLbvyNv2CaerbuLwBLn hiov2DGi1BTfMBaeXatLxBI9gBaerbd9wDYLwzYbItLDharqqtubsr 4rNCHbGeaGqkY=Mj0xXdbba91rFfpec8Eeeu0xXdbba9frFj0=OqFf ea0dXdd9vqaq=JfrVkFHe9pgea0dXdar=Jb9hs0dXdbPYxe9vr0=vr 0=vqpWqaaeaabiGaciaacaqabeaadaqaaqaaaOqaaiabeI7aXbaa@38C4@ ) and ∫ 0 2π f(θ)dθ=1 MathType@MTEF@5@5@+= feaagKart1ev2aaatCvAUfeBSjuyZL2yd9gzLbvyNv2CaerbuLwBLn hiov2DGi1BTfMBaeXatLxBI9gBaerbd9wDYLwzYbItLDharqqtubsr 4rNCHbGeaGqkY=Mj0xXdbba91rFfpec8Eeeu0xXdbba9frFj0=OqFf ea0dXdd9vqaq=JfrVkFHe9pgea0dXdar=Jb9hs0dXdbPYxe9vr0=vr 0=vqpWqaaeaabiGaciaacaqabeaadaqaaqaaaOqaamaapedabeWcba GaaGimaaqaaiaaikdacqaHapaCa0Gaey4kIipakiaaiccacaWGMbGa aGikaiabeI7aXjaaiMcacaWGKbGaeqiUdeNaaGypaiaaigdaaaa@4546@ . 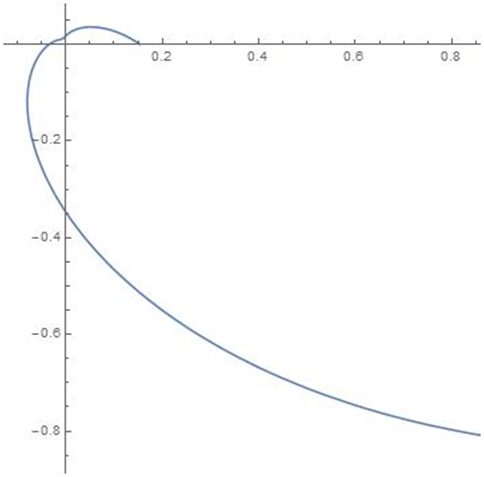 The distribution function F( θ MathType@MTEF@5@5@+= feaagKart1ev2aaatCvAUfeBSjuyZL2yd9gzLbvyNv2CaerbuLwBLn hiov2DGi1BTfMBaeXatLxBI9gBaerbd9wDYLwzYbItLDharqqtubsr 4rNCHbGeaGqkY=Mj0xXdbba91rFfpec8Eeeu0xXdbba9frFj0=OqFf ea0dXdd9vqaq=JfrVkFHe9pgea0dXdar=Jb9hs0dXdbPYxe9vr0=vr 0=vqpWqaaeaabiGaciaacaqabeaadaqaaqaaaOqaaiabeI7aXbaa@38C4@ ) can be defined over any interval ( θ 1 , θ 2 MathType@MTEF@5@5@+= feaagKart1ev2aaatCvAUfeBSjuyZL2yd9gzLbvyNv2CaerbuLwBLn hiov2DGi1BTfMBaeXatLxBI9gBaerbd9wDYLwzYbItLDharqqtubsr 4rNCHbGeaGqkY=Mj0xXdbba91rFfpec8Eeeu0xXdbba9frFj0=OqFf ea0dXdd9vqaq=JfrVkFHe9pgea0dXdar=Jb9hs0dXdbPYxe9vr0=vr 0=vqpWqaaeaabiGaciaacaqabeaadaqaaqaaaOqaaiabeI7aXnaaBa aaleaacaaIXaaabeaakiaaiYcacqaH4oqCdaWgaaWcbaGaaGOmaaqa baaaaa@3D09@ ) by F( θ 2 MathType@MTEF@5@5@+= feaagKart1ev2aaatCvAUfeBSjuyZL2yd9gzLbvyNv2CaerbuLwBLn hiov2DGi1BTfMBaeXatLxBI9gBaerbd9wDYLwzYbItLDharqqtubsr 4rNCHbGeaGqkY=Mj0xXdbba91rFfpec8Eeeu0xXdbba9frFj0=OqFf ea0dXdd9vqaq=JfrVkFHe9pgea0dXdar=Jb9hs0dXdbPYxe9vr0=vr 0=vqpWqaaeaabiGaciaacaqabeaadaqaaqaaaOqaaiabeI7aXnaaBa aaleaacaaIYaaabeaaaaa@39AC@ )-F( θ 1 MathType@MTEF@5@5@+= feaagKart1ev2aaatCvAUfeBSjuyZL2yd9gzLbvyNv2CaerbuLwBLn hiov2DGi1BTfMBaeXatLxBI9gBaerbd9wDYLwzYbItLDharqqtubsr 4rNCHbGeaGqkY=Mj0xXdbba91rFfpec8Eeeu0xXdbba9frFj0=OqFf ea0dXdd9vqaq=JfrVkFHe9pgea0dXdar=Jb9hs0dXdbPYxe9vr0=vr 0=vqpWqaaeaabiGaciaacaqabeaadaqaaqaaaOqaaiabeI7aXnaaBa aaleaacaaIXaaabeaaaaa@39AB@ )= ∫ θ 1 θ 2 f(θ)dθ MathType@MTEF@5@5@+= feaagKart1ev2aaatCvAUfeBSjuyZL2yd9gzLbvyNv2CaerbuLwBLn hiov2DGi1BTfMBaeXatLxBI9gBaerbd9wDYLwzYbItLDharqqtubsr 4rNCHbGeaGqkY=Mj0xXdbba91rFfpec8Eeeu0xXdbba9frFj0=OqFf ea0dXdd9vqaq=JfrVkFHe9pgea0dXdar=Jb9hs0dXdbPYxe9vr0=vr 0=vqpWqaaeaabiGaciaacaqabeaadaqaaqaaaOqaamaapedabeWcba GaeqiUde3aaSbaaeaacaaIXaaabeaaaeaacqaH4oqCdaWgaaqaaiaa ikdaaeqaaaqdcqGHRiI8aOGaaGiiaiaadAgacaaIOaGaeqiUdeNaaG ykaiaadsgacqaH4oqCaaa@45B6@ . Suppose that an initial direction and orientation of the unit circle have been chosen (generally 0 0 MathType@MTEF@5@5@+= feaagKart1ev2aaatCvAUfeBSjuyZL2yd9gzLbvyNv2CaerbuLwBLn hiov2DGi1BTfMBaeXatLxBI9gBaerbd9wDYLwzYbItLDharqqtubsr 4rNCHbGeaGqiVu0Je9sqqrpepC0xbbL8F4rqqrFfpeea0xe9Lq=Jc9 vqaqpepm0xbba9pwe9Q8fs0=yqaqpepae9pg0FirpepeKkFr0xfr=x fr=xb9adbaqaaeGaciGaaiaabeqaamaabaabaaGcbaqcLbsacaaIWa qcfa4aaWbaaSqabKqaGeaajugWaiaaicdaaaaaaa@3A0C@ direction and anticlockwise orientation). Then F( θ MathType@MTEF@5@5@+= feaagKart1ev2aaatCvAUfeBSjuyZL2yd9gzLbvyNv2CaerbuLwBLn hiov2DGi1BTfMBaeXatLxBI9gBaerbd9wDYLwzYbItLDharqqtubsr 4rNCHbGeaGqkY=Mj0xXdbba91rFfpec8Eeeu0xXdbba9frFj0=OqFf ea0dXdd9vqaq=JfrVkFHe9pgea0dXdar=Jb9hs0dXdbPYxe9vr0=vr 0=vqpWqaaeaabiGaciaacaqabeaadaqaaqaaaOqaaiabeI7aXbaa@38C4@ ) is defined as F(θ)= ∫ 0 θ f(ϕ)dϕ MathType@MTEF@5@5@+= feaagKart1ev2aaatCvAUfeBSjuyZL2yd9gzLbvyNv2CaerbuLwBLn hiov2DGi1BTfMBaeXatLxBI9gBaerbd9wDYLwzYbItLDharqqtubsr 4rNCHbGeaGqkY=Mj0xXdbba91rFfpec8Eeeu0xXdbba9frFj0=OqFf ea0dXdd9vqaq=JfrVkFHe9pgea0dXdar=Jb9hs0dXdbPYxe9vr0=vr 0=vqpWqaaeaabiGaciaacaqabeaadaqaaqaaaOqaaiaadAeacaaIOa GaeqiUdeNaaGykaiaai2dadaWdXaqabSqaaiaaicdaaeaacqaH4oqC a0Gaey4kIipakiaaiccacaWGMbGaaGikaiabew9aMjaaiMcacaWGKb Gaeqy1dygaaa@47D2@ obviously it holds that, F(2 π MathType@MTEF@5@5@+= feaagKart1ev2aaatCvAUfeBSjuyZL2yd9gzLbvyNv2CaerbuLwBLn hiov2DGi1BTfMBaeXatLxBI9gBaerbd9wDYLwzYbItLDharqqtubsr 4rNCHbGeaGqkY=Mj0xXdbba91rFfpec8Eeeu0xXdbba9frFj0=OqFf ea0dXdd9vqaq=JfrVkFHe9pgea0dXdar=Jb9hs0dXdbPYxe9vr0=vr 0=vqpWqaaeaabiGaciaacaqabeaadaqaaqaaaOqaaiabec8aWbaa@38CB@ ) = 1. This form is sometimes called ‘Poisson’s first law of error’. Alternatively, the standard density function (3) is obtained by considering the transformation. Skewed - Laplace distributions are considered as a generalization of the symmetric Laplace distribution. The discrete analogue of the symmetric Laplace distribution has been derived recently Kozubowski et al.,11 as in the case of normal distribution. The traditional models based on normal distribution are very often not supported by real life data in many studies because of long tails and asymmetry present in these data. The symmetric Laplace distribution(being heavier tailed than the normal) and the asymmetric Laplace distribution can account for leptokurtic and skewed data. Thus Laplace distribution is a natural, often superior alternative to the normal law. The Laplace distributions find applications in diversified fields. The classical symmetric Laplace distribution is regarded as an appropriate model in areas such as ocean engineering and fracture problems. It has also been found to be a suitable model for the formation of sand dunes. The asymmetric Laplace distributions are being used in modeling of financial data. There is a growing interest in stochastic modeling with Laplace distribution and its asymmetric extensions. The Laplace distribution is commonly encountered in image and speech compression applications. This distribution is also applicable for wind shear data, error distributions in navigation, encoding and decoding of analog signals, inventory management and quality control, astronomy and the biological and environment sciences. In the last several decades various forms of skewed Laplace distributions have appeared in the literature. Kozubowski & Nadarajah13 studied different forms of skewed Laplace distributions. Mc Gill,14 Holla & Bhattacharya,15 Thomas Agnan & Poiraud-Casanoa,16 Fernandez & Steel17 and Yu & Zhang18 proposed different skewed Laplace distributions. Here we consider Holla and Bhattacharya’s Skewed Laplace distribution and derived its circular density function, distribution function, characteristic function and trigonometric moments. where −∞<x<∞ MathType@MTEF@5@5@+= feaagKart1ev2aaatCvAUfeBSjuyZL2yd9gzLbvyNv2CaerbuLwBLn hiov2DGi1BTfMBaeXatLxBI9gBaerbd9wDYLwzYbItLDharqqtubsr 4rNCHbGeaGqiVu0Je9sqqrpepC0xbbL8F4rqqrFfpeea0xe9Lq=Jc9 vqaqpepm0xbba9pwe9Q8fs0=yqaqpepae9pg0FirpepeKkFr0xfr=x fr=xb9adbaqaaeGaciGaaiaabeqaamaabaabaaGcbaGaeyOeI0Iaey OhIuQaaGipaiaadIhacaaI8aGaeyOhIukaaa@3C4E@ , −∞<β<∞;c>0 MathType@MTEF@5@5@+= feaagKart1ev2aaatCvAUfeBSjuyZL2yd9gzLbvyNv2CaerbuLwBLn hiov2DGi1BTfMBaeXatLxBI9gBaerbd9wDYLwzYbItLDharqqtubsr 4rNCHbGeaGqkY=Mj0xXdbba91rFfpec8Eeeu0xXdbba9frFj0=OqFf ea0dXdd9vqaq=JfrVkFHe9pgea0dXdar=Jb9hs0dXdbPYxe9vr0=vr 0=vqpWqaaeaabiGaciaacaqabeaadaqaaqaaaOqaaiabgkHiTiabg6 HiLkaaiYdacqaHYoGycaaI8aGaeyOhIuQaaG4oaiaadogacaaI+aGa aGimaaaa@4139@ . and 0<p<1 MathType@MTEF@5@5@+= feaagKart1ev2aaatCvAUfeBSjuyZL2yd9gzLbvyNv2CaerbuLwBLn hiov2DGi1BTfMBaeXatLxBI9gBaerbd9wDYLwzYbItLDharqqtubsr 4rNCHbGeaGqkY=Mj0xXdbba91rFfpec8Eeeu0xXdbba9frFj0=OqFf ea0dXdd9vqaq=JfrVkFHe9pgea0dXdar=Jb9hs0dXdbPYxe9vr0=vr 0=vqpWqaaeaabiGaciaacaqabeaadaqaaqaaaOqaaiaaicdacaaI8a GaamiCaiaaiYdacaaIXaaaaa@3B04@ . Holla and Bhattacharya used this distribution as the compounding distribution of the expected value of a normal distribution. where −∞<x<∞; MathType@MTEF@5@5@+= feaagKart1ev2aaatCvAUfeBSjuyZL2yd9gzLbvyNv2CaerbuLwBLn hiov2DGi1BTfMBaeXatLxBI9gBaerbd9wDYLwzYbItLDharqqtubsr 4rNCHbGeaGqkY=Mj0xXdbba91rFfpec8Eeeu0xXdbba9frFj0=OqFf ea0dXdd9vqaq=JfrVkFHe9pgea0dXdar=Jb9hs0dXdbPYxe9vr0=vr 0=vqpWqaaeaabiGaciaacaqabeaadaqaaqaaaOqaaiabgkHiTiabg6 HiLkaaiYdacaWG4bGaaGipaiabg6HiLkaaiUdaaaa@3E2B@ −∞<β<∞; MathType@MTEF@5@5@+= feaagKart1ev2aaatCvAUfeBSjuyZL2yd9gzLbvyNv2CaerbuLwBLn hiov2DGi1BTfMBaeXatLxBI9gBaerbd9wDYLwzYbItLDharqqtubsr 4rNCHbGeaGqkY=Mj0xXdbba91rFfpec8Eeeu0xXdbba9frFj0=OqFf ea0dXdd9vqaq=JfrVkFHe9pgea0dXdar=Jb9hs0dXdbPYxe9vr0=vr 0=vqpWqaaeaabiGaciaacaqabeaadaqaaqaaaOqaaiabgkHiTiabg6 HiLkaaiYdacqaHYoGycaaI8aGaeyOhIuQaaG4oaaaa@3ECF@ c>0 MathType@MTEF@5@5@+= feaagKart1ev2aaatCvAUfeBSjuyZL2yd9gzLbvyNv2CaerbuLwBLn hiov2DGi1BTfMBaeXatLxBI9gBaerbd9wDYLwzYbItLDharqqtubsr 4rNCHbGeaGqkY=Mj0xXdbba91rFfpec8Eeeu0xXdbba9frFj0=OqFf ea0dXdd9vqaq=JfrVkFHe9pgea0dXdar=Jb9hs0dXdbPYxe9vr0=vr 0=vqpWqaaeaabiGaciaacaqabeaadaqaaqaaaOqaaiaadogacaaI+a GaaGimaaaa@3978@ , which is the classical Laplace distribution. The density plot for different values of the parameters are given in the following Figure 1–4. 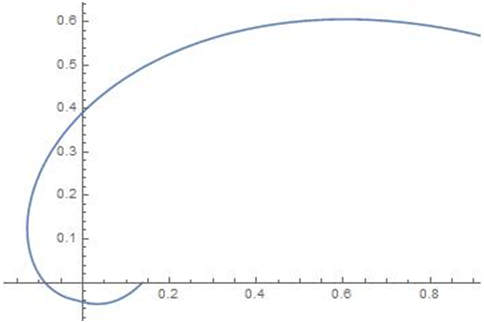 Figure 1 Density for p=0.5, c=1 MathType@MTEF@5@5@+= feaagKart1ev2aaatCvAUfeBSjuyZL2yd9gzLbvyNv2CaerbuLwBLn hiov2DGi1BTfMBaeXatLxBI9gBaerbd9wDYLwzYbItLDharqqtubsr 4rNCHbGeaGqkY=Mj0xXdbba91rFfpec8Eeeu0xXdbba9frFj0=OqFf ea0dXdd9vqaq=JfrVkFHe9pgea0dXdar=Jb9hs0dXdbPYxe9vr0=vr 0=vqpWqaaeaabiGaciaacaqabeaadaqaaqaaaOqaaiaadogacaaI9a GaaGymaaaa@3978@ , β=−0.25 MathType@MTEF@5@5@+= feaagKart1ev2aaatCvAUfeBSjuyZL2yd9gzLbvyNv2CaerbuLwBLn hiov2DGi1BTfMBaeXatLxBI9gBaerbd9wDYLwzYbItLDharqqtubsr 4rNCHbGeaGqkY=Mj0xXdbba91rFfpec8Eeeu0xXdbba9frFj0=OqFf ea0dXdd9vqaq=JfrVkFHe9pgea0dXdar=Jb9hs0dXdbPYxe9vr0=vr 0=vqpWqaaeaabiGaciaacaqabeaadaqaaqaaaOqaaiabek7aIjaai2 dacqGHsislcaaIWaGaaGOlaiaaikdacaaI1aaaaa@3D50@ ; Density for p=0.5, c=1 MathType@MTEF@5@5@+= feaagKart1ev2aaatCvAUfeBSjuyZL2yd9gzLbvyNv2CaerbuLwBLn hiov2DGi1BTfMBaeXatLxBI9gBaerbd9wDYLwzYbItLDharqqtubsr 4rNCHbGeaGqkY=Mj0xXdbba91rFfpec8Eeeu0xXdbba9frFj0=OqFf ea0dXdd9vqaq=JfrVkFHe9pgea0dXdar=Jb9hs0dXdbPYxe9vr0=vr 0=vqpWqaaeaabiGaciaacaqabeaadaqaaqaaaOqaaiaadogacaaI9a GaaGymaaaa@3978@ , β=0.25 MathType@MTEF@5@5@+= feaagKart1ev2aaatCvAUfeBSjuyZL2yd9gzLbvyNv2CaerbuLwBLn hiov2DGi1BTfMBaeXatLxBI9gBaerbd9wDYLwzYbItLDharqqtubsr 4rNCHbGeaGqkY=Mj0xXdbba91rFfpec8Eeeu0xXdbba9frFj0=OqFf ea0dXdd9vqaq=JfrVkFHe9pgea0dXdar=Jb9hs0dXdbPYxe9vr0=vr 0=vqpWqaaeaabiGaciaacaqabeaadaqaaqaaaOqaaiabek7aIjaai2 dacaaIWaGaaGOlaiaaikdacaaI1aaaaa@3C63@ . 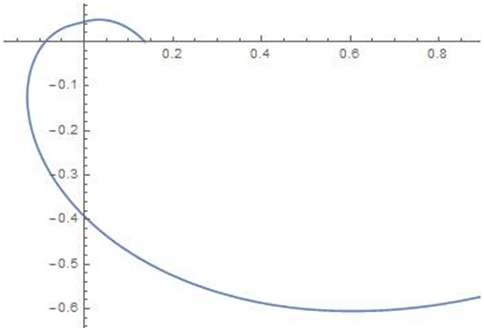 Figure 2 Density for p=0.5, c=1.5 MathType@MTEF@5@5@+= feaagKart1ev2aaatCvAUfeBSjuyZL2yd9gzLbvyNv2CaerbuLwBLn hiov2DGi1BTfMBaeXatLxBI9gBaerbd9wDYLwzYbItLDharqqtubsr 4rNCHbGeaGqkY=Mj0xXdbba91rFfpec8Eeeu0xXdbba9frFj0=OqFf ea0dXdd9vqaq=JfrVkFHe9pgea0dXdar=Jb9hs0dXdbPYxe9vr0=vr 0=vqpWqaaeaabiGaciaacaqabeaadaqaaqaaaOqaaiaadogacaaI9a GaaGymaiaai6cacaaI1aaaaa@3AEF@ , β=0.2 MathType@MTEF@5@5@+= feaagKart1ev2aaatCvAUfeBSjuyZL2yd9gzLbvyNv2CaerbuLwBLn hiov2DGi1BTfMBaeXatLxBI9gBaerbd9wDYLwzYbItLDharqqtubsr 4rNCHbGeaGqkY=Mj0xXdbba91rFfpec8Eeeu0xXdbba9frFj0=OqFf ea0dXdd9vqaq=JfrVkFHe9pgea0dXdar=Jb9hs0dXdbPYxe9vr0=vr 0=vqpWqaaeaabiGaciaacaqabeaadaqaaqaaaOqaaiabek7aIjaai2 dacaaIWaGaaGOlaiaaikdaaaa@3BA4@ ; Density for p=0.5, c=1.5 MathType@MTEF@5@5@+= feaagKart1ev2aaatCvAUfeBSjuyZL2yd9gzLbvyNv2CaerbuLwBLn hiov2DGi1BTfMBaeXatLxBI9gBaerbd9wDYLwzYbItLDharqqtubsr 4rNCHbGeaGqkY=Mj0xXdbba91rFfpec8Eeeu0xXdbba9frFj0=OqFf ea0dXdd9vqaq=JfrVkFHe9pgea0dXdar=Jb9hs0dXdbPYxe9vr0=vr 0=vqpWqaaeaabiGaciaacaqabeaadaqaaqaaaOqaaiaadogacaaI9a GaaGymaiaai6cacaaI1aaaaa@3AEF@ , β=−0.2 MathType@MTEF@5@5@+= feaagKart1ev2aaatCvAUfeBSjuyZL2yd9gzLbvyNv2CaerbuLwBLn hiov2DGi1BTfMBaeXatLxBI9gBaerbd9wDYLwzYbItLDharqqtubsr 4rNCHbGeaGqkY=Mj0xXdbba91rFfpec8Eeeu0xXdbba9frFj0=OqFf ea0dXdd9vqaq=JfrVkFHe9pgea0dXdar=Jb9hs0dXdbPYxe9vr0=vr 0=vqpWqaaeaabiGaciaacaqabeaadaqaaqaaaOqaaiabek7aIjaai2 dacqGHsislcaaIWaGaaGOlaiaaikdaaaa@3C91@ . 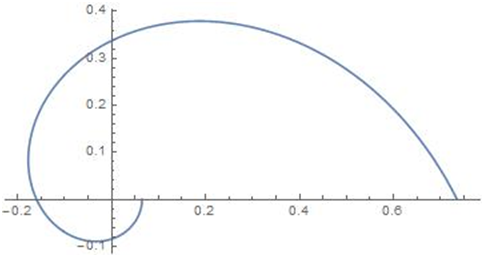 Figure 3 Density for p=0.75, c=1 MathType@MTEF@5@5@+= feaagKart1ev2aaatCvAUfeBSjuyZL2yd9gzLbvyNv2CaerbuLwBLn hiov2DGi1BTfMBaeXatLxBI9gBaerbd9wDYLwzYbItLDharqqtubsr 4rNCHbGeaGqkY=Mj0xXdbba91rFfpec8Eeeu0xXdbba9frFj0=OqFf ea0dXdd9vqaq=JfrVkFHe9pgea0dXdar=Jb9hs0dXdbPYxe9vr0=vr 0=vqpWqaaeaabiGaciaacaqabeaadaqaaqaaaOqaaiaadogacaaI9a GaaGymaaaa@3978@ , β=0 MathType@MTEF@5@5@+= feaagKart1ev2aaatCvAUfeBSjuyZL2yd9gzLbvyNv2CaerbuLwBLn hiov2DGi1BTfMBaeXatLxBI9gBaerbd9wDYLwzYbItLDharqqtubsr 4rNCHbGeaGqkY=Mj0xXdbba91rFfpec8Eeeu0xXdbba9frFj0=OqFf ea0dXdd9vqaq=JfrVkFHe9pgea0dXdar=Jb9hs0dXdbPYxe9vr0=vr 0=vqpWqaaeaabiGaciaacaqabeaadaqaaqaaaOqaaiabek7aIjaai2 dacaaIWaaaaa@3A30@ ; Density for p=0.1, c=0.5 MathType@MTEF@5@5@+= feaagKart1ev2aaatCvAUfeBSjuyZL2yd9gzLbvyNv2CaerbuLwBLn hiov2DGi1BTfMBaeXatLxBI9gBaerbd9wDYLwzYbItLDharqqtubsr 4rNCHbGeaGqkY=Mj0xXdbba91rFfpec8Eeeu0xXdbba9frFj0=OqFf ea0dXdd9vqaq=JfrVkFHe9pgea0dXdar=Jb9hs0dXdbPYxe9vr0=vr 0=vqpWqaaeaabiGaciaacaqabeaadaqaaqaaaOqaaiaadogacaaI9a GaaGimaiaai6cacaaI1aaaaa@3AEE@ , β=−1 MathType@MTEF@5@5@+= feaagKart1ev2aaatCvAUfeBSjuyZL2yd9gzLbvyNv2CaerbuLwBLn hiov2DGi1BTfMBaeXatLxBI9gBaerbd9wDYLwzYbItLDharqqtubsr 4rNCHbGeaGqkY=Mj0xXdbba91rFfpec8Eeeu0xXdbba9frFj0=OqFf ea0dXdd9vqaq=JfrVkFHe9pgea0dXdar=Jb9hs0dXdbPYxe9vr0=vr 0=vqpWqaaeaabiGaciaacaqabeaadaqaaqaaaOqaaiabek7aIjaai2 dacqGHsislcaaIXaaaaa@3B1E@ . Figure 4 Density for p=0.5, c=1.5 MathType@MTEF@5@5@+= feaagKart1ev2aaatCvAUfeBSjuyZL2yd9gzLbvyNv2CaerbuLwBLn hiov2DGi1BTfMBaeXatLxBI9gBaerbd9wDYLwzYbItLDharqqtubsr 4rNCHbGeaGqkY=Mj0xXdbba91rFfpec8Eeeu0xXdbba9frFj0=OqFf ea0dXdd9vqaq=JfrVkFHe9pgea0dXdar=Jb9hs0dXdbPYxe9vr0=vr 0=vqpWqaaeaabiGaciaacaqabeaadaqaaqaaaOqaaiaadogacaaI9a GaaGymaiaai6cacaaI1aaaaa@3AEF@ , β=0 MathType@MTEF@5@5@+= feaagKart1ev2aaatCvAUfeBSjuyZL2yd9gzLbvyNv2CaerbuLwBLn hiov2DGi1BTfMBaeXatLxBI9gBaerbd9wDYLwzYbItLDharqqtubsr 4rNCHbGeaGqkY=Mj0xXdbba91rFfpec8Eeeu0xXdbba9frFj0=OqFf ea0dXdd9vqaq=JfrVkFHe9pgea0dXdar=Jb9hs0dXdbPYxe9vr0=vr 0=vqpWqaaeaabiGaciaacaqabeaadaqaaqaaaOqaaiabek7aIjaai2 dacaaIWaaaaa@3A30@ ; Density for p=0.5, c=0.2 MathType@MTEF@5@5@+= feaagKart1ev2aaatCvAUfeBSjuyZL2yd9gzLbvyNv2CaerbuLwBLn hiov2DGi1BTfMBaeXatLxBI9gBaerbd9wDYLwzYbItLDharqqtubsr 4rNCHbGeaGqkY=Mj0xXdbba91rFfpec8Eeeu0xXdbba9frFj0=OqFf ea0dXdd9vqaq=JfrVkFHe9pgea0dXdar=Jb9hs0dXdbPYxe9vr0=vr 0=vqpWqaaeaabiGaciaacaqabeaadaqaaqaaaOqaaiaadogacaaI9a GaaGimaiaai6cacaaIYaaaaa@3AEB@ , β=0.25 MathType@MTEF@5@5@+= feaagKart1ev2aaatCvAUfeBSjuyZL2yd9gzLbvyNv2CaerbuLwBLn hiov2DGi1BTfMBaeXatLxBI9gBaerbd9wDYLwzYbItLDharqqtubsr 4rNCHbGeaGqkY=Mj0xXdbba91rFfpec8Eeeu0xXdbba9frFj0=OqFf ea0dXdd9vqaq=JfrVkFHe9pgea0dXdar=Jb9hs0dXdbPYxe9vr0=vr 0=vqpWqaaeaabiGaciaacaqabeaadaqaaqaaaOqaaiabek7aIjaai2 dacaaIWaGaaGOlaiaaikdacaaI1aaaaa@3C63@ . The survival function and hazard rate function can be obtained from the corresponding density function and distribution function. Substituting the values of α p MathType@MTEF@5@5@+= feaagKart1ev2aaatCvAUfeBSjuyZL2yd9gzLbvyNv2CaerbuLwBLn hiov2DGi1BTfMBaeXatLxBI9gBaerbd9wDYLwzYbItLDharqqtubsr 4rNCHbGeaGqiVu0Je9sqqrpepC0xbbL8F4rqqrFfpeea0xe9Lq=Jc9 vqaqpepm0xbba9pwe9Q8fs0=yqaqpepae9pg0FirpepeKkFr0xfr=x fr=xb9adbaqaaeGaciGaaiaabeqaamaabaabaaGcbaGaeqySde2aaS baaSqaaiaadchaaeqaaaaa@38B6@ and β p MathType@MTEF@5@5@+= feaagKart1ev2aaatCvAUfeBSjuyZL2yd9gzLbvyNv2CaerbuLwBLn hiov2DGi1BTfMBaeXatLxBI9gBaerbd9wDYLwzYbItLDharqqtubsr 4rNCHbGeaGqkY=Mj0xXdbba91rFfpec8Eeeu0xXdbba9frFj0=OqFf ea0dXdd9vqaq=JfrVkFHe9pgea0dXdar=Jb9hs0dXdbPYxe9vr0=vr 0=vqpWqaaeaabiGaciaacaqabeaadaqaaqaaaOqaaiabek7aInaaBa aaleaacaWGWbaabeaaaaa@39D0@ given in (13) and (14) in (15), we get an alternative expression for the PDF of the wrapped HB skewed Laplace distribution. Since (20) cannot be solved analytically, numerical iteration technique is used to get a solution for p,c and β MathType@MTEF@5@5@+= feaagKart1ev2aaatCvAUfeBSjuyZL2yd9gzLbvyNv2CaerbuLwBLn hiov2DGi1BTfMBaeXatLxBI9gBaerbd9wDYLwzYbItLDharqqtubsr 4rNCHbGeaGqkY=Mj0xXdbba91rFfpec8Eeeu0xXdbba9frFj0=OqFf ea0dXdd9vqaq=JfrVkFHe9pgea0dXdar=Jb9hs0dXdbPYxe9vr0=vr 0=vqpWqaaeaabiGaciaacaqabeaadaqaaqaaaOqaaiabek7aIbaa@38AF@ . One may use the nlm package in R software to get the maximum likelihood estimators (MLE) for p,c and β MathType@MTEF@5@5@+= feaagKart1ev2aaatCvAUfeBSjuyZL2yd9gzLbvyNv2CaerbuLwBLn hiov2DGi1BTfMBaeXatLxBI9gBaerbd9wDYLwzYbItLDharqqtubsr 4rNCHbGeaGqkY=Mj0xXdbba91rFfpec8Eeeu0xXdbba9frFj0=OqFf ea0dXdd9vqaq=JfrVkFHe9pgea0dXdar=Jb9hs0dXdbPYxe9vr0=vr 0=vqpWqaaeaabiGaciaacaqabeaadaqaaqaaaOqaaiabek7aIbaa@38AF@ . The following application shows the effectiveness of Wrapped Holla and Bhattacharya’s Skewed Laplace (WHBSL) distribution, the data wind directions comprising hourly measurements of three days at a site on Black Mountain, ACT, Australia, was reported in Dr. M.A. Cameron and discussed in Fisher.19 The main goal was to provide a regular monitoring of climate change into ACT. Climate change is the greatest threat facing the world today, wind generated electricity is one of a number of ways that we can reduce our reliance on fossil fuel-generated electricity and therefore reduce our greenhouse gas production and limit climate change. The geography and dynamics wind direction this area are important elements of climate system. This study is important given the growing evidence of the ACT climate change and biosphere to global change. The data (n= 22, degree) are as given below (Table 1). In this paper, a new wrapped distribution namely Wrapped Holla and Bhattacharya’s Skewed Laplace (WHBSL) distribution is introduced and studied. The pdf and cdf of the distribution are derived and the shapes of the density function for different values of the parameters are obtained by using Mathematica. Expressions for characteristic function and trigonometric moments are derived. The alternative form of the pdf of the same distribution is also obtained using trigonometric moments. Method of maximum likelihood estimation is used for estimating the parameters. For exploring the validity of the model, we apply it to a real data set from Meteorology. The performance of the proposed model is compared with that of wrapped variance gamma distribution and generalised von Mises distribution using log-likelihood, AIC, and BIC. It is concluded that the wrapped HB Skewed Laplace distribution is a better model for the given data set than the other two distributions. Mardia KV, Jupp PE. Directional Statistics. 2nd edn, New York: Wiley; 2000. Jammalamadaka, S Rao, Kozubowski TJ. New families of wrapped distributions for modeling skew circular data. Communications in Statistics–Theory and Methods. 2004;33(9):2059–2074. Rao AVD, Sarma IR, Girija SVS. On wrapped version of some life testing models. Communications in Statistics–Theory and Methods. 2007;36:2027–2035. Roy S, Adnan MAS. Wrapped weighted exponential distributions. Statistics and Probability Letters. 2012;82:77–83. Roy S, Adnan MAS. Wrapped generalized Gompertz distribution: An application to Ornithology. Journal of Biometrics and Biostatistics. 2012;3(6):1013–1021. Jacob S, Jayakumar K. Wrapped geometric distribution: A new probability model for circular data. Journal of Statistical Theory and Applications. 2013;12(4):348–355. Rao AVD, Sarma IR, Girija SVS. On characteristics of wrapped gamma distribution. IRACST – Engineering Science and Technology: An International Journal (ESTIJ). 2013;3(2):228–232. Adnan MAS, Roy S. Wrapped variance gamma distribution with an application to wind direction. Journal of Environmental Statistics. 2014;6(2):1–10. Joshi S, Jose KK. Wrapped Lindley Distribution. Communications in Statistics– Theory and Methods. 2017;47(5):1013–1021. Kozubowski TJ, Podgorski K. Asymmetric Laplace laws and modeling financial data. Math Comput Model. 2001;34:1003–1021. Johnson NL, Kotz S, Balakrishnan N. Continuous Univariate Distributions. 2nd Singapore: John Wiley Sons (Asia) Pvt. Ltd; 2001. McGill WJ. Random fluctuations of response rate. Psychometrika. 1962;27:3–17. Holla MS, Bhattacharya SK. On a compound Gaussian distribution. Ann Ins Stat Math. 1968;20:331–336. Poiraud Casanoa S, Thomas Agnan C. About monotone regression quantiles. Stat Probab Lett. 48(1):101–104. Fernandez C, Steel MFJ. On Bayesian modeling of fat tails and skewness. J Am Stat Assoc. 1998;93:359–371. Jammalamadaka, S Rao, Kozubowski TJ. A General Approach for Obtaining Wrapped Circular Distributions via Mixtures. Sankhya : The Indian Journal of Statistics. 2017;33(9):2059–2074. ©2018 Varghese et al. This is an open access article distributed under the terms of the Creative Commons Attribution License , which permits unrestricted use, distribution, and build upon your work non-commercially.